The Magic Sleepsuit is a swaddle transition product designed by a mother of four who is also a pediatric physical therapist. The Magic Sleepsuit provides babies with a cozy, secure feeling, and helps muffle their reflexive startles to aid in their sleep. The Magic Sleepsuit is designed for back sleeping in the crib and is best introduced when babies are making the transition from the swaddle. So you’ve reached that wonderful (and often dreaded) milestone – your baby is ready to give up the swaddle. But are you? Most babies who like to be swaddled will outgrow this need around 12 weeks, or 3 months of age, as they begin to want to stretch their bodies out. Many parents who notice that their baby is no longer happy to be swaddled struggle with how to properly transition them to sleeping without that cozy comfort. In addition to needing to stretch out, parents will notice that their baby will begin to rock and roll. Literally. Although many babies are able to roll over during the day before they are able to roll at night, this is still a good indicator that you may need to begin to wean the swaddle. There are many parents who come to us with babies that are rolling in their swaddle. These parents are looking for a product to help transition baby from the swaddle. When in the swaddle or Woombie, babies are positioned differently and are able to use momentum from rocking in a balled up position to roll (or make a good attempt at rolling), especially if they are frustrated and trying to break free. The Magic Sleepsuit separates your baby’s arms and legs, which puts them in a different position, which requires more advanced motor patterns to roll. Typically, babies are soothed and calmed in the Magic Sleepsuit, so they are not restless and attempting to reposition themselves. When your baby can roll when using the Magic Sleepsuit, they are strong enough (and determined enough), but also are older and ready to be transitioned from the Magic Sleepsuit, which will allow them to move more freely in their sleep. Know that babies often roll while awake during floor time and tummy time well before they roll over in the Magic Sleepsuit while sleeping. Remember that babies need to be transitioned from the Magic Sleepsuit when they roll over in the Magic Sleepsuit while sleeping, not when they first start to roll while awake. Babies should be in the Magic Sleepsuit for sleep only, and while awake your baby should be doing all of those great activities (such as tummy time) to promote healthy motor skill development, which they are much more likely to do if they are happy and well-rested. 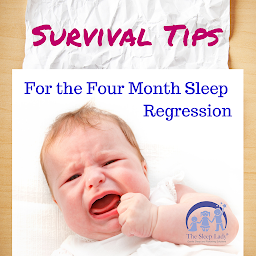 Once your baby is ready to have a bit more freedom while they sleep, there are a number of things you can do to help ease the transition. One of the most effective tools is the Magic Sleep Suit, which has been designed to provide babies with a comfortable and safe sleep environment. Many babies who need to be transitioned from the swaddle still need that cozy and contained feeling associated with swaddling to aid with a restful sleep. Even if your baby is sleeping well, using a transitional tool is a great way to keep baby cozy and eliminates the need for any loose bedding. It also helps take the guesswork out of layering or bundling your baby, especially if you worry that your infant may be too cold at night. The most common recommendation regarding ending swaddling is 3 months, though we know that many parents swaddle their babies beyond this point. Ideally, you would begin to wean your child off the swaddle close to 3 months, with the goal of eventually sleeping unassisted. At three months of age, your baby no longer needs to be swaddled, yet they still may have reflexive twitches, called the Moro Reflex, in addition to habitual waking patterns, which often wake them (and you) prematurely. At this young age, many infants also have difficulty falling asleep independently and staying asleep without some type of parental intervention (nursing, rocking, etc.). While this is totally normal for this young age, many parents want to begin creating a flexible routine, including bedtime. Add to this that your infant will likely need to be transitioned not only from swaddling, but they will likely outgrow a smaller sleep environment (cradles, bassinets, Rock N Plays, etc.). This means a move to larger and more spacious cribs, which can disrupt sleep patterns. Combine this with taking away your baby’s swaddle, and you’ll probably agree you need some help. The Magic Sleepsuit is recommended for use in the crib, and for back sleeping only (the only recommended safe sleep position for babies). Know that it is recommended that babies transition out of the Magic Sleepsuit when they show signs that they are ready for the next stage of development, which includes having more freedom of movement in their sleep. This includes when your baby begins to roll over from back to tummy and tummy to back. Knowing this, many parents dread another change, but in fact, the transition out of the Magic Sleepsuit typically goes smoothly when good sleep patterns have been established through a gentle sleep coaching method such as The Shuffle. Do you want to win your own Magic Sleep Suit? The Magic Sleepsuit is currently available in two sizes 3-6 months (or approximately 12-18 lbs.) and 6-9 months (or approximately 18-21 lbs.). The Magic Sleepsuit is available in blue, pink and yellow with a microfleece outer layer, and cream with a cotton outer layer. A blue, pink and yellow in the cotton exterior will be available this Fall! You don’t need to worry about your baby overheating, either. The Magic Sleepsuit can be used year round in various climates in rooms at appropriate temperatures (which for most babies is between 68 and 72 degrees Fahrenheit). Even sensitive babies can use the Magic Sleepsuit, as the fabric against your baby’s skin is breathable jersey cotton. For added safety, the Sleepsuit is designed with a scooped neck and the hands and feet are open for ventilation and heat dissipation. Remember that your baby’s room should be kept at a safe temperature when using the Magic Sleepsuit. The Magic Sleepsuit is designed to be worn over just a diaper, onesie or other lightweight cotton sleepwear. Parents should always be sure their baby is at a comfortable temperature while sleeping and should adjust what they wear under the Magic Sleepsuit accordingly. The Magic Sleepsuit suit is designed to aid your baby’s sleep patterns, but also gives you peace of mind that your baby is getting much needed rest that is necessary for growth and development. Remember, a well-rested and happy baby makes for happy and well-rested parents! Maureen Howard is a wife, mother of four children and pediatric physical therapist. Maureen’s educational background includes a B.A. in Biology from the University of Delaware. After completing her bachelor’s degree, Maureen attended Temple University’s College of Allied Health Professionals and earned a Master of Physical Therapy degree. During her studies at Temple, Maureen completed four internships in various disciplines. Upon graduation, Maureen pursued a career in physical therapy specializing in pediatrics. Her first position was in an acute care setting at the world renowned Children’s Hospital of Philadelphia (CHOP). Maureen also worked in pediatric inpatient and outpatient units at Children’s Seashore House – a branch of CHOP. Most recently, Maureen has worked as an independent contractor through an agency that provides, among other things, pediatric physical therapy in both home based (preschoolers) and school based (for older children) settings. Maureen created the Magic Sleepsuit as a swaddle transition product to help her four babies sleep better, and founded Baby Merlin Company to share the Magic Sleepsuit with other parents. Share your swaddling success stories with us on The Sleep Lady’s Facebook Page. Supporting each other makes parenting so much easier!